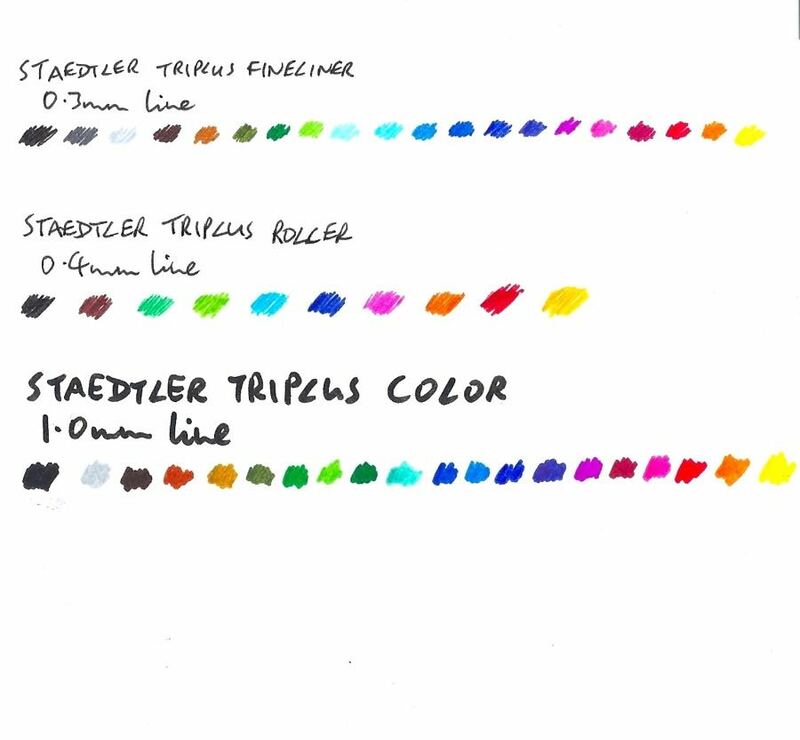 Staedtler Triplus Roller, Fineliner and Color Pens – Pens! Paper! Pencils! 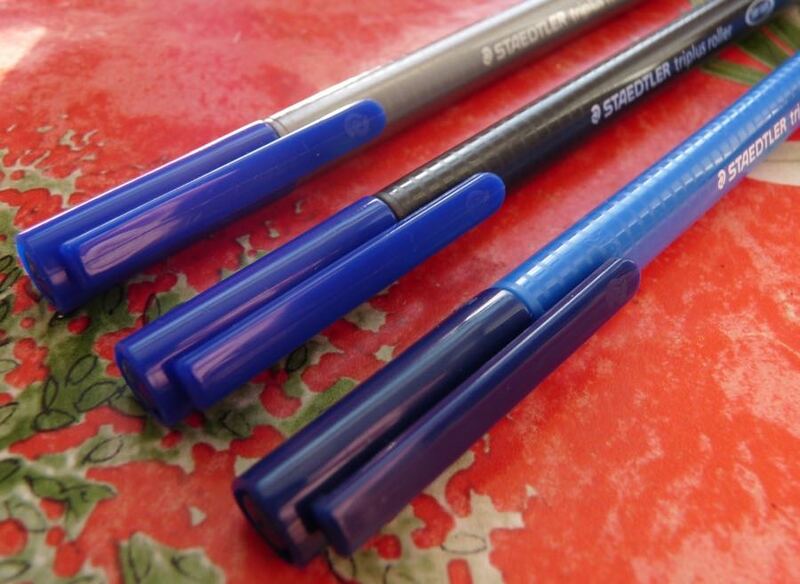 Staedtler make just about every kind of pen and pencil in this Triplus range. The range is distinguished, unsurprisingly, by the triangular barrel. 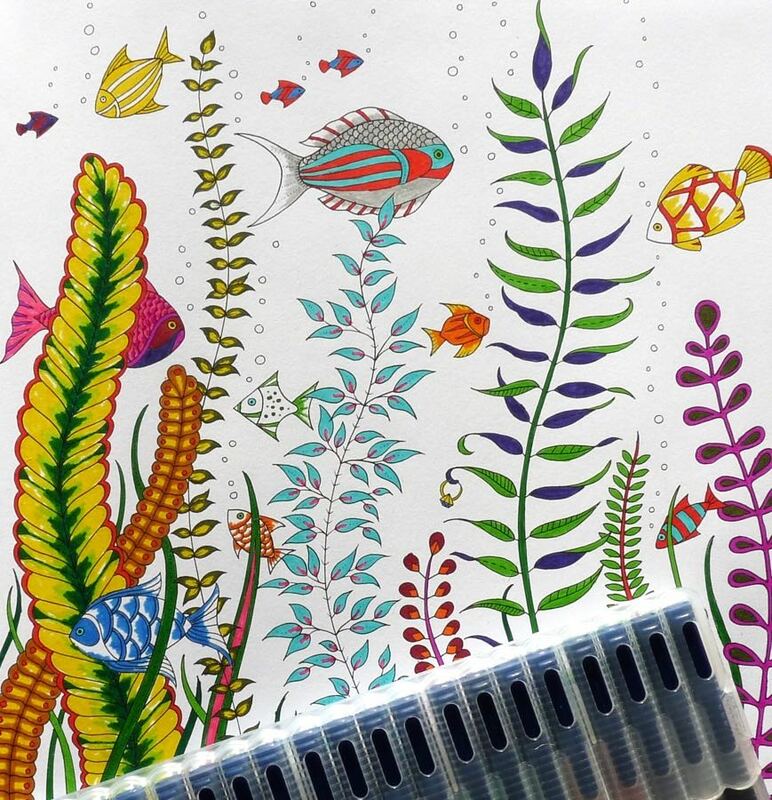 I’m taking a look at the Roller, Color and Fineliner pens. Thank you to Staedtler for sending me, a very lone time ago now, these pens to try out. Staedtler have really latched onto the whole adult colouring craze with the Fineliner. They are available in several kazillion colours and in sets of varying quantities. Individually they cost about 80p but of course sets work out cheaper per pen. Being able to buy pens singly is important if you’re going to use them often. 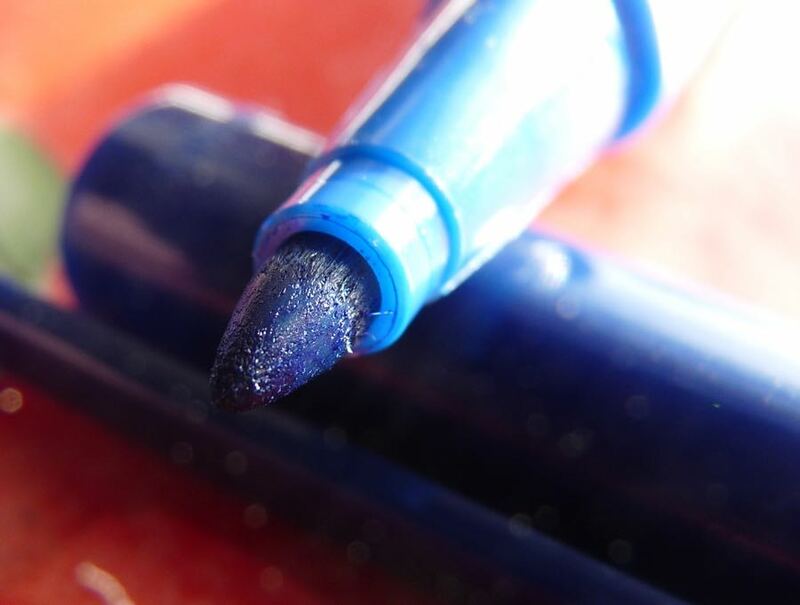 You don’t want to have to buy a whole new set just because your favourite pen has run dry. 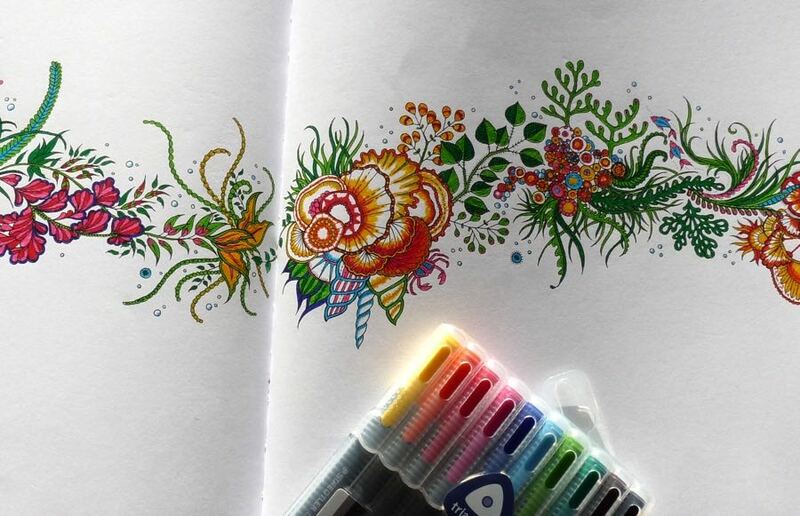 The colours are vibrant and the ink flows consistently. You can colour in large areas without the tip running dry. 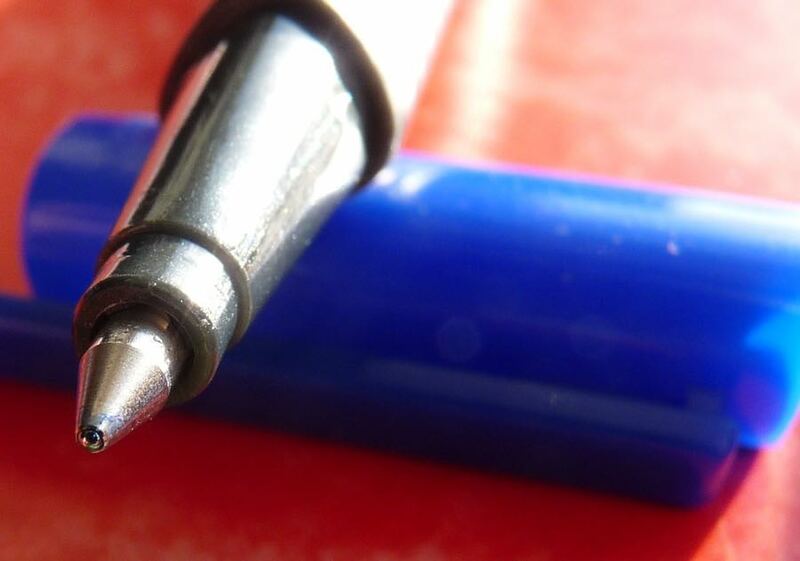 The tip gives a line about 0.3mm wide. The caps post securely but aren’t always a completely accurate reflection of the actual colour. 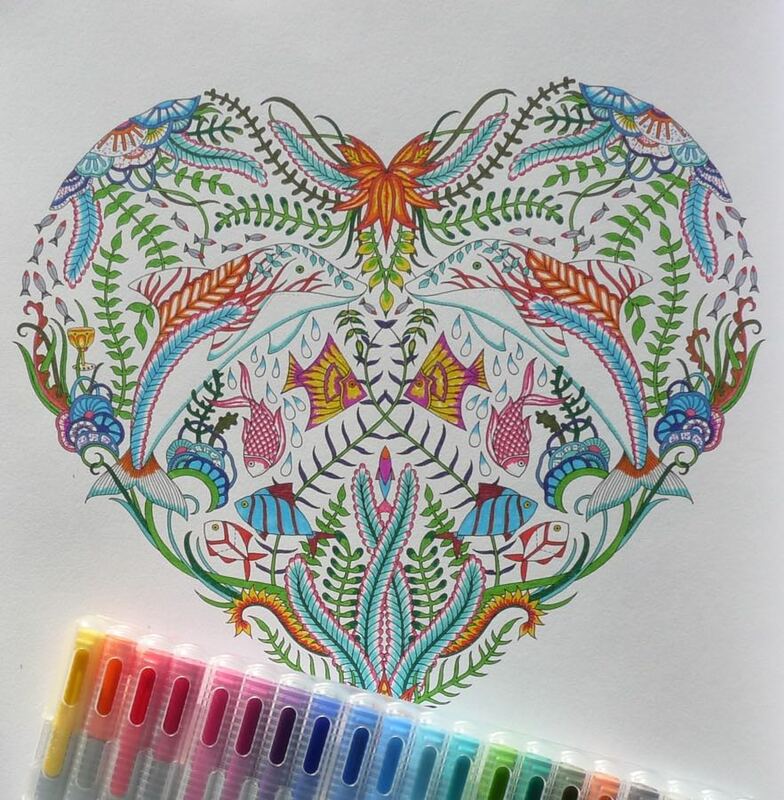 The Fineliner is fun to colour with and good for writing too. The Roller is a rollerball pen available individually for £1 or in sets of various sizes. They write a 0.4mm line. I coloured a page with the Roller and it was not fun at all. There were a lot of hard starts and skipping. 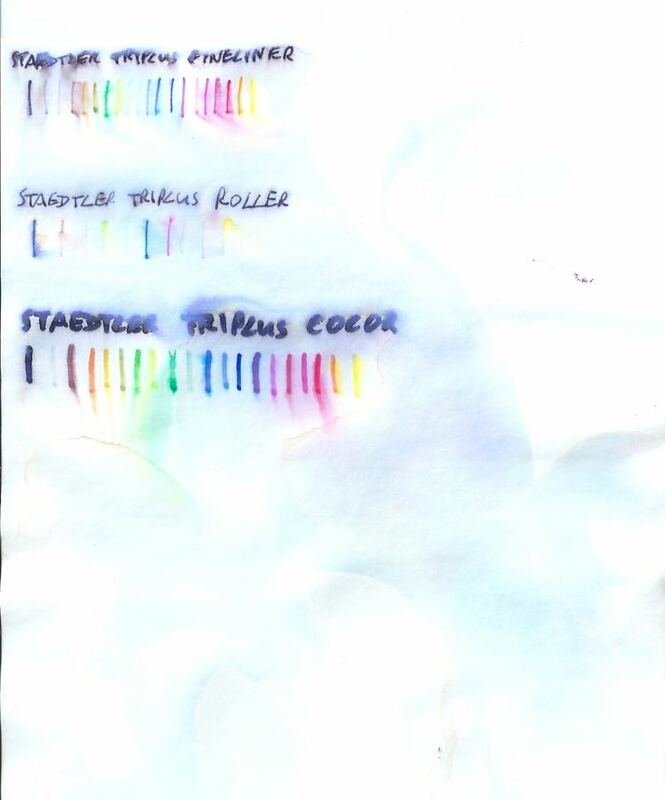 You may like to suggest rollerballs aren’t meant for colouring but the same issues occur when writing. Unless you absolutely need a rollerball in an unusual colour these are best avoided. 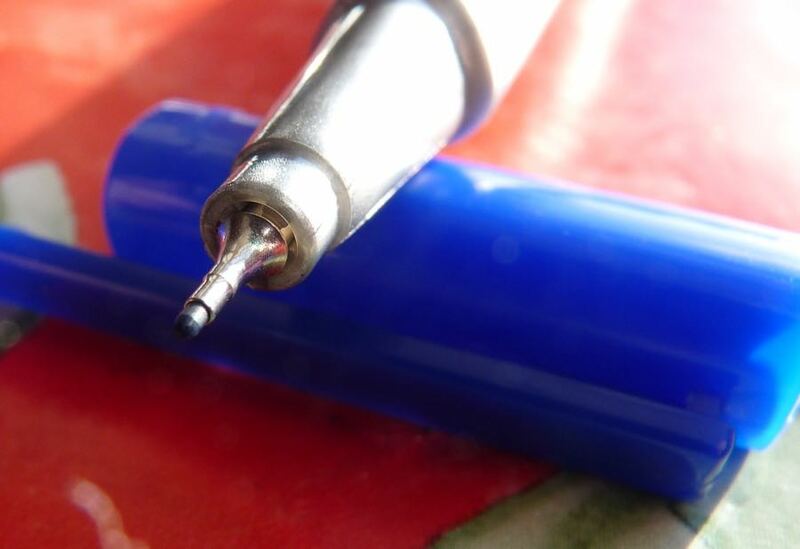 Note: Staedtler have made a new version of this pen that writes a 0.3mm line and claims to be more consistent. I bought one to test. If anything, the pen I bought was even worse than these. The misspelled Color is a fibre-tipped pen (a felt-tip, if you’re British) that writes a 1mm line. They cost £1.10 each. 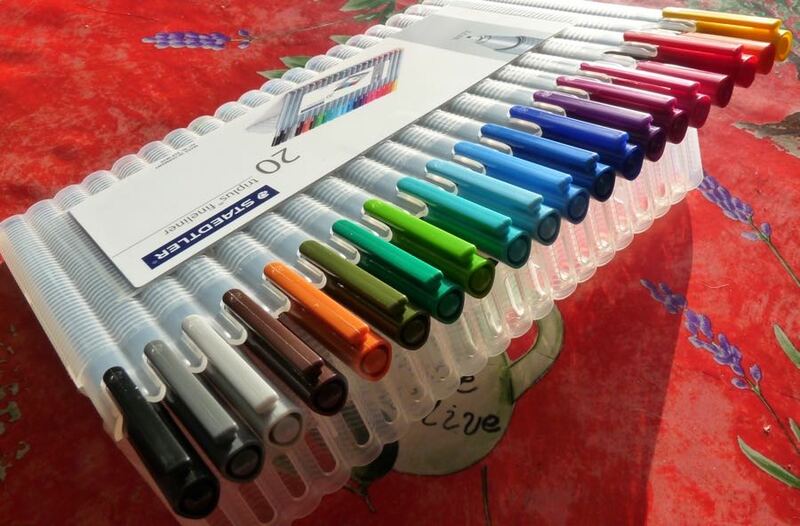 The colours are lovely and bright and, unlike many felt-tips, they keep going over large areas without running dry. The barrels represent the colour of the ink (approximately) making it easy to pick the pen you want. Obviously, having a thicker tip it’s tricky to get into any fine detail but these are good pens that might be great for children to use. None of these pens are waterproof. That does mean, though, that if your children get them all over their clothes there’s a chance they’ll wash out. The barrels are look and feel cheap. The cases the sets come in fold back to form handy desk stands. Handy, that is, until they start undoing themselves at the sides, something that happens more and more often as time goes on. Avoid the Roller (it’s not good at all) but go wild with the others. 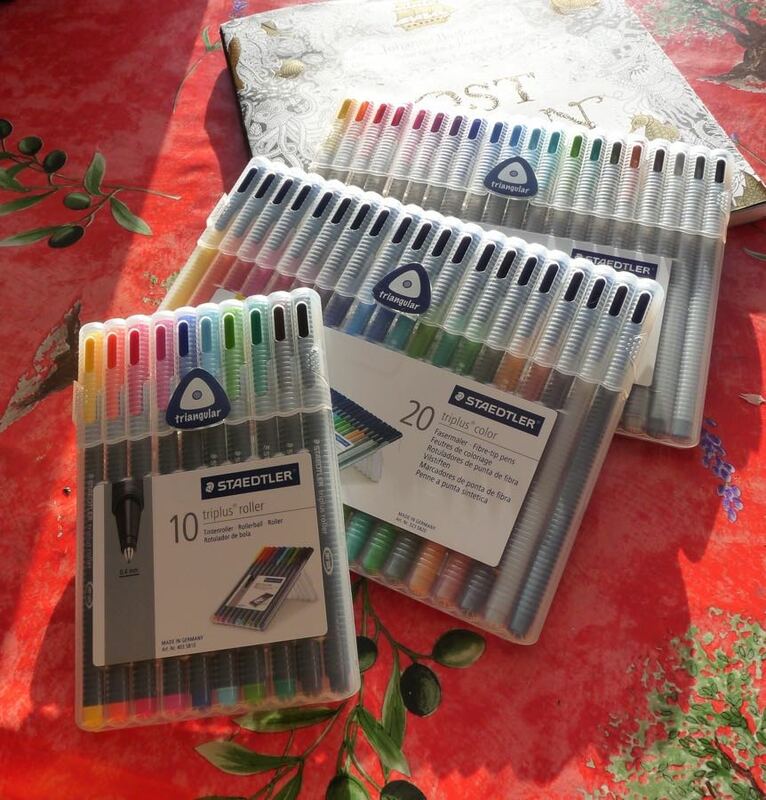 My youngest has a few sets of the fineliners, and really likes them (she won a set from Staedtler for some artwork she did with one of her sets, iirc).